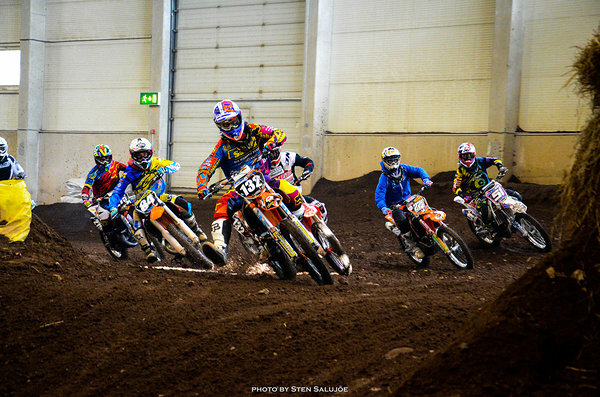 Sõmerpalu in Võru County is home to Europe's biggest stationary indoor motorcross hall, the Adrenalin Arena, which provides reasonably priced and comfortable year-round training and competition facilities for professionals, amateurs and enthusiasts alike. We are constantly organising motocross-themed and other special events; our spacious stands are a perfect place for watch the events. You can book motocross trainings, rent bikes and visit the motocross museum of MTÜ Sõmerpalu Motoklubi; there, the trophies, pictures and bikes that were used to win the trophies by sportsmen trained by Sõmerpalu Motoklubi, including the ones of the brothers Leok (racing drivers), are on display.